Olinat Base Cream, our amazing natural moisturizing cream, has been formulated in such a way as to offer you great moisturizing and hydrating properties, plus it allows you to add essential oils to the cream. 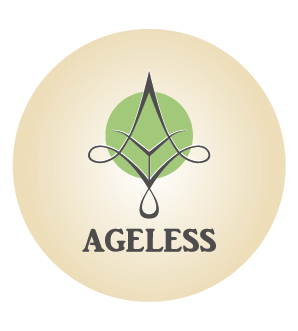 This gives you the freedom to create your own unique facial cream that contains oils specifically targeted to treating specific conditions which you wish to treat. Most standard creams will not be able to take the addition of essential oils, yet the Olinat Base Cream natural moisturizing cream was specifically formulated for this purpose. It took our research and formulation team some time to finalize the formulation of Olinat, as they had to look at creating a cream that is not only an effective moisturizer and hydrating cream, but also ensures that organic principles were followed when sourcing the ingredients. People have the right to choose what they use and although there may be some heated debate about the merits or demerits of certain cosmetic ingredients, we strive to supply our client with what they need. •An emollient fat obtained from the seeds of the cocoa plant with amazing moisturizing properties. •A highly nourishing and soothing oil – actually a wax ester – obtained from the seeds of the desert shrub, Simmondsia chinensis. AQUA (WATER), GLYCERIN, CERATONIA SILIQUA GUM, CETEARYL OLIVATE, GLYCERYL STEARATE SE, SORBITAN OLIVATE, PRUNUS AMYGDALUS DULCIS (SWEET ALMOND) OIL, BUTYROSPERMUM PARKII (SHEA BUTTER), VITIS VINIFERA (GRAPE) SEED OIL, THEOBROMA CACAO (COCOA) SEED BUTTER, PRUNUS ARMENIACA (APRICOT) KERNEL OIL, HYDROGENATED OLIVE OIL, MAGNESIUM ALUMINIUM SILICATE, OLEA EUROPAEA (OLIVE) FRUIT OIL, SIMMONDSIA CHINENSIS (JOJOBA) SEED OIL, OLEA EUROPAEA (OLIVE) OIL UNSAPONIFIABLES, TOCOPHEROL, GLYCINE SOJA (SOYBEAN) OIL, SESAMUM INDICUM (SESAME) SEED OIL, INULIN LAURYL CARBAMATE PANTHENOL, ROSMARINUS OFFICINALIS (ROSEMARY) LEAF EXTRACT, XANTHAN GUM, CITRIC ACID, BENZYL ALCOHOL / DEHYDROACETIC ACID.